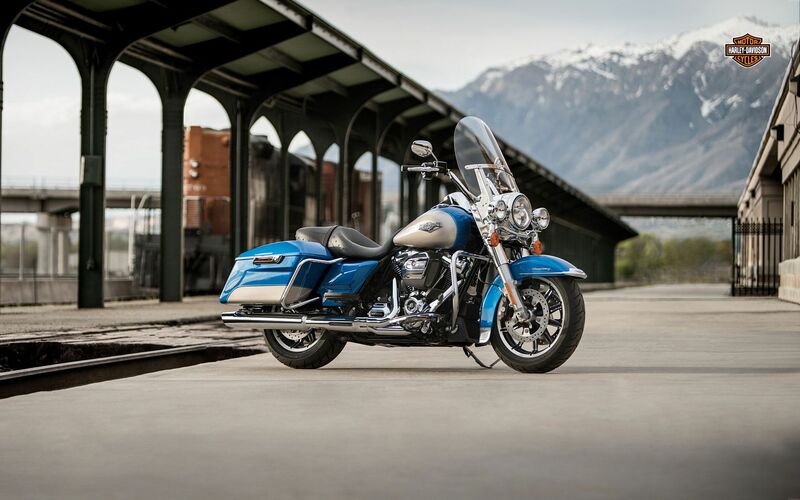 The Road King® is where stripped-down, nostalgic style meets the performance and versatility of a modern Harley-Davidson® touring machine. The Hiawatha headlamp and nacelle were born in the ‘60s, when chrome ruled the streets. But the power of the Milwaukee-Eight® 107 engine brings it all into the here and now in a hurry. The Showa® dual-bending valve front suspension and rear emulsion shocks put you in control for a plush ride. With cast aluminium Impeller wheels and one-touch opening saddlebags, this is the timeless classic built for today.